The Rule of Benedict for Beginners: Spirituality for Daily Life is easily the best book of Christian spirituality I have read in recent memory. I read it once last year, recommended it to my church elders, and read it again with my summer interns over the past few months. Without reservation I think you should read it too. Roughly two years ago I was in a bit of a bad way. I was stressed and struggling to find balance and order in my ministry life. Recognizing that a fresh approach to my personal calendar was going to be part of bringing order to the frustration, I resolved myself to set apart the first Wednesday of each month as a personal retreat day. From some friends in ministry I had heard that there was a Benedictine monastery nearby which facilitated day retreats. I contacted the guestmaster there and set up a day to come by. Little did I know how life-altering that simple choice would be. I arrived on a chilly February day. I met the guestmaster at the door. He gave me a brief tour and showed me to a room where I could rest and pray. He told me about the lunch hour and that I would need to join the monks for prayer in the Abbey Church beforehand. After he left I closed the door and was struck almost immediately by the near absolute quiet of the place. No conversations. No computer noise. No electronic hums. No music. No blowing air. It was exactly what I needed. I joined the monks for prayer in their stunningly beautiful chapel, then for lunch (which we ate in silence while a monk read aloud from a book). After lunch I re-entered the front door and looked around. There, by the entrance, was a small selection of books for sale (you drop money in a box if you want the book). My eye was immediately drawn to a goldenrod volume with iconographic images. It was Wil Derkse’s book, and I bought a copy. Malcolm Muggeridge writes that “There are always ideal circumstances for reading any book, which should, perhaps, be indicated on the dust-jacket, along with particulars of the authors and subject.” These were ideal circumstances for me to read Derkse’s book, because upstairs, in solitude, while journaling and reading, his simple prose spoke to my needs. If I were to summarize Benedictine spirituality in a single phrase, I think I would say that it is grounded in a kind of attentiveness, a listening. Its chief aim is to attempt to query every situation, person, task, or event, with a divine perspective: “What is God asking of me at this moment?” How am I serving God in washing these dishes? In conversing with this friend? In writing this blog post? In answering this email? From such simple attentiveness, Benedictine spirituality invites us to follow those prompts with obedience; obedience to the call of God in my daily circumstances. Eating, then, is the time for eating; praying the time for praying; working the time for working; and so forth. These are enormously simple admonitions, but in Derkse’s straightforward and readable prose they resonate with import. There is, in these plain understandings of life and work and meaning, something that provides a way for us—who are so often busy, harried, and divided—to bring our Christian convictions to bear upon our life’s vocation. There is something extraordinarily wholesome about Derkse’s book. I can’t recommend it highly enough. Over the next months I continued to drive out to the monastery on a monthly basis. I came to value the ordinary ordering of the lives of the monks, of whom I was but a distant and casual observer. While I am not called to a monastic vocation (and while I am also not Catholic! ), my association with that place did me no small amount of good. I fed off of their stability, and was enriched by their order. It has given me a vision of this daily spirituality—the spirituality of dishes, and service, and solitude, and work, and prayer—which I believe we all require in some measure. After finishing Derkse’s book I read a copy of St. Benedict’s Rule (also purchased from the monastery), as well as Esther de Waal’s Seeking God: The Way of St. Benedict. Both books further enriched my appreciation of Benedictine spirituality. Over time, I developed my own routine for visiting the monastery—a morning set aside for silence, prayer, and journaling, lunch with the monks (always silent, of course), an after lunch walk to shake off the sleep, time sitting still at the monastery lookout, then more time to read and journal and pray. With each successive visit I came to appreciate more and more the simplicity of the place. It has shaped me. This shaping is not without some irony. I am, at the moment, an ordained minister in the Christian and Missionary Alliance, and across the street from the monastery entrance is an Alliance Church. 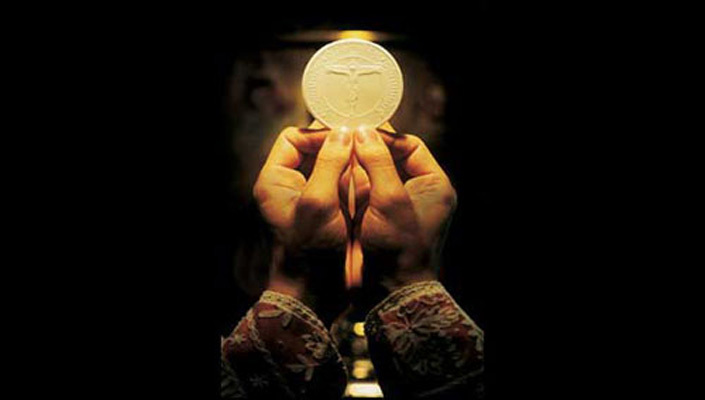 So, I travel a distance to find a place to restore my soul from the burdens of ministry, and when I arrive I turn symbolically away from my denomination and into the arms of the Catholics! But this may not be so strange after all. Protestants are gifted activists, but we make poor contemplatives; we value our spiritual highs, but are not particularly competent when it comes to everyday spirituality. When you think of a great Protestant Christian, he is either someone “filled with the Spirit,” or someone possessed of extensive doctrinal knowledge. But the great Catholic is as often a man or woman of contemplation. I can’t help but imagine that a solution to Protestant burnout might be found in the patient spirituality of our Catholic brothers and sisters. In view of this, it is unfortunate that many Protestants remain skeptical of Catholic expressions of spirituality. Such skepticism robs us of the fullness of what it means to be a communion of saints, and facilitates what is often in Protestants a highly regrettable ignorance of the breadths and riches of the Church in all her historic glory. Benedict, clearly, was a follower of Jesus who sought to outline how other such followers could effectively dedicate themselves to a life of prayer and communal living. His words strike us at our Christian and human need, which suggests why they have stayed with such power for such lengths of time. Regardless of your situation or your vocation, whether you are an ordinary layman or a minister, I recommend that you spend a little time exploring the contours of the Benedictine vision for life. In Derkse’s book you will find a readable, rich, memorable, and wholesome guide. I pray it might shape you as it has me. What stands out first when one reads Lewis’s correspondence is simply its sheer vastness. This was a man busy with work as a professor, busy with work caring for invalids at home, busy with his personal writing, and yet taking time out of each day to maintain his letter writing—writing that followed him almost to the day of his death. Linked to this, and something possibly overlooked when we think about Lewis, is his extreme patience. Lewis makes the time to write everyone back, and some of those people most certainly didn’t really deserve it. Of special patience in this volume are the forty or so letters to Mary Willis Shelburne (also published as Letters to an American Lady), which tax even my patience when reading Lewis’s responses. Another factor that stands out about these letters is Lewis’s preparedness in matters of the soul. I work as clergy, and it is simply impossible to answer the needs of the soul which people bring to you if you do not know your own soul. Lewis’s self-knowledge, and capacity to illustrate from his own experiences in walking alongside others, is both admirable and worthy of imitation. 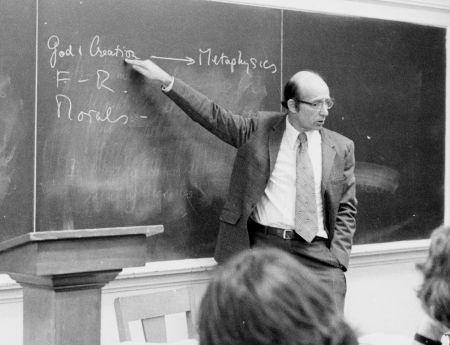 I am also reminded that Lewis’s unique brilliance is not that he knew so much (although he did), but that he thought so clearly about everything. From that clarity he labored to bring clarity to the darkness of other people’s thoughts. It is that ongoing clarity, I suggest, that contributes most significantly to Lewis’s longevity as an author. The book is worth reading if only to be exposed to his clear thinking. Fr. Walter Adams, remembered on the wall of St. Stephen’s House, Oxford. While I enjoyed the book, I also had some reservations while reading it—not reservations about Lewis, but reservations about how we view “spiritual direction.” Above all else, I find that there is something decidedly fuzzy in how we talk and think about “spiritual direction” (and the scare quotes are there to highlight my reservation). I’m not sure we really know what it is, and it has become such a plastic term that it covers quite a variety of divergent concepts. Lewis himself, of course, visited a spiritual director (Father Walter Adams), and participated in regular confession. He speaks about these things helpfully in several of the letters. But when we are looking to Lewis for spiritual direction then something feels a little off. It is off, to my mind, in three critical ways. First, it is off because a relationship of spiritual direction (such as the one in which Lewis was involved) is a relationship of exchange. One believer sits under the supervision of another, trusting that older, wiser Christian in the direction and shaping of your soul. Lewis certainly fits the older, wiser category, but true direction requires a personal relationship and personal listening. The Director will listen to your life and make suggestions according to his/her perception of your needs. A key quality in the directee is obedience, and when we are reading a book for spiritual direction there is a danger that our own sense of power and control will override the process. Put simply, it’s a lot harder to say no to a person than it is to a book. A second reason it is off is because it neglects, to my mind, the role that friendship and collegial association played in Lewis’s spiritual formation. The letters selected in this volume are largely those which are overtly spiritual, and yet some of Lewis’s chief formation and enrichment as a Christian came about through his association with friends. By looking at only one kind of “spirituality,” I fear the reader can miss the broader spirituality of Lewis’s life and experience. This taps into the third reason the book felt off, which is with what material is cited in footnotes. Ford has faithfully footnoted every Bible reference he could detect in the book, but almost no literary references at all. Where Lewis references a book, or a poem, or a famous thinker, or some other literature, these items are not notated for the reader. This is a somewhat gross oversight, since one of the primary areas which opened Lewis to the Christian faith was literature itself. I find this to be a curiously evangelical approach to spirituality (made more ironic since Ford is himself a Roman Catholic)—that we only value Scripture to the neglect of other sources of information. Above and beyond all of this—and perhaps above and beyond this particular volume itself—is with a kind of danger in how we, today, approach Lewis. Lewis, indeed, is a great Christian thinker, a giant of 20th century faith and well deserving the attention he has received. But when we are looking at Lewis, rather than along with him, then we are not only doing something Lewis would personally despise, but we are missing the greatest gifts he might offer us as readers—the exposure to the worlds and vistas which had opened his eyes personally to the greatness and majesty of God. This, indeed, might be the ultimate goal of all spiritual direction—to direct the heart toward a greater apprehension of, and obedience to, God. “I’m a Christian, but I don’t go to Church.” It’s a fairly common expression to encounter, whether or not you’re a minister like me. It’s a favorite catch-phrase of the spiritual-but-not-religious crowd, ascribing a certain nobility to those people whose faith has personally transcended the need for outmoded and backwards institutions. The Church, after all, is for hypocrites, and I’m not one of those, and the Church is scuttled by politics, and I’m above that, and the Church is anti-homosexual, and I’m more enlightened than that. And by aligning myself with Jesus as an individual, yet throwing the gathered community of Christians under the bus, I grant myself an elevated spirituality that is unhindered by the difficulties of average (and presumably unthinking) sheeple—er, that is, people. The attitude is similar to the statement, “I love Jesus but not religion,” which has always struck me as deeply and unintentionally ironic. To say I love Jesus but not religion is like saying, “I love food but not eating.” Sure, I can make too much of eating, and I can even rob food of its implicit joys by over-ceremonializing the procedure of eating. I can, indeed, make an idol of “eating.” But as long as eating is the procedure that brings me access to the food I love and need, then it serves its purpose. Religion isn’t bad—it can’t be bad—it’s the things I get to do because I love Jesus. To claim otherwise is to sorely misinterpret the whole of the religious life. To cultivate a desire to associate with Jesus while spurning his bride, his chosen vehicle to change the world, is to stand on dangerous ground. “You I like, Jeremy. You’re a great guy, I love being with you. But that wife of yours? Liesel? Ugh. What an embarrassment! I’d prefer to just ditch her and hang out with you.” If you said that to me I would begin to gather serious doubts about whether you actually like me, since you feel so free to spit on someone I have committed my life to loving. And when you say essentially the same thing to Jesus I imagine that his response might be similar, and I imagine also that he might begin to think your attitude reflects some further and even graver misunderstandings about what precisely this “Church” thing is all about. And behind all of this I perceive that these attitudes of rejection toward the Church point to a refusal to submit, and this is a refusal that reveals a deep-seated arrogance and pride. There are five ways this shows up in particular. 1) To refuse to submit to the Church is to reject the God-ordained process by which we become Godly persons. It is to say, “I don’t need you.” But you do need the Church. In the Scriptures we are commanded to love, to forgive, to be generous, to serve, and to sacrifice. Where do you first learn these exalted practices if not in the community of God’s people? Where do you practice them? What lie to you ascribe to the power of God if you claim to follow Jesus in his love, forgiveness, generosity, and sacrifice, but refuse to love, forgive, be generous toward, and serve Jesus’ own chosen people? The Church is the gymnasium where we, called out of the world, practice God’s love both as a sign of God’s Kingdom presence and in preparation for our mission as God’s people. 2) To refuse to submit to the Church is to reject the necessary conflict that sharpens and hones us into useful servants for God’s mission. It is to claim, “I will not be hurt by you.” And yet pain, discomfort, and failure, are precisely the mechanisms by which we discover our faults and grow through them. It is easy to be loving when you’re alone—it is far harder when you have to love an actual person sitting across from you. It is easy to be generous when you imagine generosity alone with God in the woods, it is far harder when the brother or sister sitting across from you has tangible needs for which you have practical means. Will you allow yourself to be sharpened, then? Proverbs 27:17 seems to me to be a central verse describing the work of the Church, “As iron sharpens iron, so one man sharpens another.” This is not a comfortable and polite process but the rough contact of two intractable pieces of hardness, being brought further and further into sharpness by their persistent grating, one against the other. The purpose of the difficulty is honing, creating and edge which has a purpose and function. Conflict and difficulty in the Church is often precisely the process by which we are brought low from our pride and made useful for God’s Kingdom. 3) To refuse to submit to the Church is to elevate the individual over the community. It is to say, “I am better than you. My judgment of the Church is superior to yours, to even Jesus’ judgment of the Church. I inhabit a privileged position from which I can perceive all of your failures, and I will now distance myself from those failures. Not only am I spiritually superior to you, I will now exhibit that superiority by expressing condemnation of your Church community by means of my withdrawal from it.” This is the arch-hypocrisy. The Church is full of hypocrites, but I’m not one of them. The Church is judgmental, but I am free to judge the Church. The Church is full of hateful people, but I am free to hate the Church. Each of these in turn reflects the elevation of the individual “I,” above the gathered people of God. This is the heart of arrogance, to promote the superiority of self at the expense of others, and it is the essence of pride, to place confidence improperly on my own judgments and thoughts. You are an eye, denying your need for hands or feet, not realizing that it is impossible to live on your own; a coal, thinking it can retain its heat apart from the fire that gives it life. 4) To refuse to submit to the Church is to overlook your own broken participation in God’s people. This is to claim that, “Those people are broken, but I’m not like them.” The Church is indeed broken, because it is made of people, and people are broken. And whenever broken people gather in community their brokenness is present in those communities. The Church has never been a community of perfection, and were it so there would be no place for you or me. Instead, the Church is a community of people who are in the process of finding healing for their brokenness in the Fatherhood of God, at the cross of Christ, and by the power of the Spirit, and that healing is being mediated to them through the gathered community of God’s people serving one another with the gifts of God. Is there a danger of pretence? Of course, because the brokenness extends to every aspect of a community’s identity—and yet, Jesus has not yet given up on loving his Church. What right have you to do so? The only reason would be because your personal perfection has graduated you to a class of post-Church Jesus followers; having discovered perfect personal holiness, you no longer need nor fit in with the gathered community. Funny, isn’t it, how only one person actually qualifies in that way, and how his choice from that perspective of holiness was to give up his life for the Church? Blessed are the poor in spirit! But that’s not you, is it? Because you’re wealthy. Glutted and satiated on your own individualistic spirituality. 5) Lastly, to refuse to submit to the Church is to gravely (and sometimes willfully) misunderstand what the Church is. 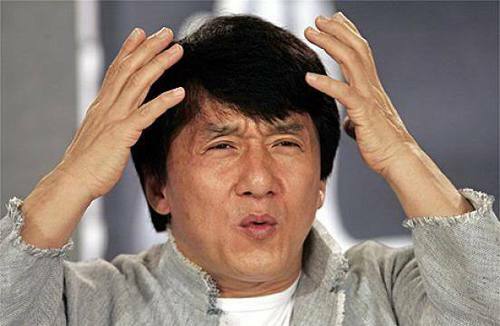 To say that “I’m a Christian but I don’t go to Church” is to speak an absurdity. There is, in reality, no such thing as “going to Church”—when you believe in Jesus you are Church, you become Church, you are irrevocably Church. To believe in Christ situates you in God’s new people, expressed eternally on earth and in heaven as his Church. Neither you nor I have ever actually gone to Church, but there have been regular times when we have congregated as the Church, coming together in faith to confess our Lord, practice our faith, be encouraged in our identity, and be reminded of the true reality of Heaven which we then take back with us into our workaday lives. Our gathered meetings, Scripture readings, songs, sermons, and ceremonies each serve this edifying purpose—to centre the people of God on the Kingdom of God and the mission of Christ in a fresh and enlivening way. Furthermore, our participation in the gathered community testifies to our unbroken belief that this broken group of people on the way is the great sign and program for God’s Kingdom advance in the world. The Church is no accident, it is God’s sovereign plan for the world. Christ is reigning, even now, through us. That means that this broken house is the only hope for transformation in the world, the only hope for relief from evil, pain, grief, sorrow, and death, and that we members of Christ are sent out weekly as an advance army into enemy territory to seek and save the lost, to bring others into the light of Christ and fellowship with Him, to draw them into the restorative community of people learning to walk with Christ side-by-side. I believe in the Church because I confess the Church. I believe in the Church because Jesus believes in His Church. And I am weary of the attitude of individuals whose impoverished ecclesiology poisons Christian fellowship with pride. If you believe in Jesus, and yet reject the Church, the word that describes your attitude is disobedience. You are a bad person and you should feel bad. So, to give the final word to the Scriptures, and in obedience to the command of Hebrews 10:23-25, “Let us hold fast the confession of our hope without wavering, for He who promised is faithful; and let us consider how to stimulate one another to love and good deeds, not forsaking our own assembling together, as is the habit of some, but encouraging one another; and all the more as you see the day drawing near.” Amen and Amen. I’m glad to hear that you made that visit to your pastor. You mention that he felt a little cold and distant, but that after a while he began to “open up a little” although “he didn’t share all that much.” That’s a good enough beginning, though, isn’t it? I think ministers, despite their work with people, are a pretty lonely group—in fact, we’re probably lonely precisely because of our work with people. It is so easy to become externalized, to live for one’s own image, and to live for other people’s expectations. When you think about it, it’s really the same process we talked about in that last letter, only personal. It is entirely possible for a pastor to outsource his own faith—in the cause of his congregation, their needs, their lives, this ministry—and in the process lose touch with his own. I’ve been taught before that pastors shouldn’t seek friendship with their congregants—something about the need to stay separated and objective. I’m more and more inclined to disagree—pastors need friends, and especially friends from among their own fellowships. Wasn’t Jesus ministering to the disciples even as they grew to become his friends? All that to say, wouldn’t you say that your pastor is at least worth a second visit? It might do both him, and you, some real good—besides, perhaps there is a friendship in store for you both. I don’t know that anyone has really wrestled fully with what it means to be a community of friends together. We’ve got an idea of “church,” and the language of “community” is very buzzy lately, but what would it look like to live in a community defined by committed, spiritual friends? And even if we are able to agree on what that would look like, how do you move people into that position? How do you guide an existing community—gathered around bingo nights, Sunday worship, a weekly prayer meeting, and whatnot else—and lead them into the kind of authentic, lived faith that we see between Jesus, the disciples, and the early church? At times the challenge seems insurmountable. Maybe we’ll get some help if we consider how friendships are formed. It seems to me that friends come from three different sources. We often build friendships around shared experiences—the people who lived on our block growing up, or the people with whom we attended school, or even siblings. The wealth of shared experience becomes the seed-bed for friendship. Another source of friendship is common activities—a hiking club, or a parent’s group for children in the same school. Here the activity binds first, and the friendship grows on the side. A third source is a shared interest—we are both interested in the same thing, and our common interest becomes the basis for friendship. When C.S. Lewis as a child met his friend Arthur Greeves for the first time, Arthur had a copy of Norse myths on his bedside table. Lewis and he were instantly friends because they both shared a love of the same things. When it comes to the Church, it seems to me that we can go wrong in building our community when we rely too much on the first two kinds of friendship. Shared experience is great, but it can create insiders and outsiders. If a church is full of people who grew up together, and their meals and fellowship consist of talking about the past and the latest gossip in the present, how will a guest find his way into that fellowship? What will be his bid into joining the community, when there is no way for him to share the “experience”? Activities are also important, but it creates the conditions where our faith can slip into the cause-based stuff we talked about last time. Are we a social club, or a church? Are we an activities group, or a fellowship? These kinds of things can also exclude some people who are hurting or unable to participate. All that to say, it seems to me that the only real grounds on which to build the fellowship of the Church is a mutual commitment to Jesus. He is our shared interest, our shared focus. Actually, that might be a little misleading, because when we look at Jesus’ ministry life we see him speaking to his disciples at the end and calling them “Friends.” At that point, he is inviting them to share in Jesus’ vision of the Father’s mission. Not slaves, but co-workers—sharers in ministry. Likewise, our attention is on Jesus, so that we can come to see as Jesus sees, and grow into God’s mission. If this is right, then friendship would be a hugely important part of ministry. My job as a minister of the gospel is to befriend the people of God, bring them into shared relationship with Jesus, and help them to see what God is doing in the world. Then, when we have that friendship, we’ll begin to participate in activities which come out from our friendship, and we will build shared experiences which bind us closer and closer together. But it all begins with Jesus, and is only maintained by Jesus. Will this be hard work to accomplish? Doubtless. Will there be obstacles? Certainly. Even right now, in your own fellowship, there are divisions and struggles on the horizon. You must ask yourself, “How can I build friendships with some of my fellow church members?” Be selective, of course, but not exclusive. Your commitment is not to exclude people who don’t fit in, but to come together around your attention to Jesus. The people who don’t fit, and don’t want to fit, will self-select that option in time—not because you made them feel uncomfortable! In time, you will certainly begin to experience a new strength to your own spiritual life, and you just might possibly begin to change the character of your own church as well. Recently my family moved house, and as is the case when you own a great many books, one of the many laborious processes involved is that of packing, and then unpacking, all of your books. This is not the first time we have moved (in fact, in 11 years of marriage we have now lived in five different homes), and that means that there are books in my library that I have packed five times and unpacked five times. Some of those books I have never yet read. Cheesy, yes. But it’s a dragon. 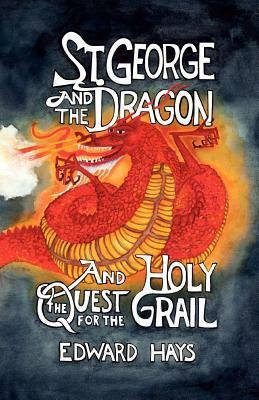 One such volume was a little book with a colorful cover called, St. George and the Dragon and the Quest for the Holy Grail, written by one Edward Hays, a Catholic priest. I had kept it in hopes of reading it because of its colorful cover, which features a large red dragon. I had assumed, these many years, that the book was a version of St. George’s story. With this recent move, after so many moves, after travelling with me thousands of miles, I finally decided to read it. My oh my, was I in for a surprise. First of all, the book has, apart from its title, almost nothing whatsoever to do with the legend of St. George. But I was ready to forgive this as I read through the first few pages, because in its place was a novel and alluring presentation: St. George presents itself as the weekly journal of a man who goes on pilgrimage in his backyard. Each week he spends a Saturday in his garage in solitude, where he is visited by a dragon who tells him stories. The journal entries, and the stories (22 of them), are the book. But what began as a promising premise quickly soured, because the spirituality that Hays presented in the book can hardly be called Christian at all. In fact, it was such a mishmash that I feel compelled to invent a new word to describe it—spiritualishism. Spiritualishism is a good word for this because it is difficult to pronounce. Go ahead and roll it around in your mouth for a minute or so, and you’ll see what I mean—that transition from “al” to “ish” to “ism” is a little challenging. And trying to pronounce the word approximates the difficulty of defining the goofy spirituality present in Hays’s book—concepts and ideas are mashed together, key elements are discernable and appear good (“spiritual” things are good, right? ), but are clouded by extra letters and awkward combinations. In the end, the bad clouded out the good and I wished I hadn’t carried the book with me over thousands of miles and multiple moves. The only good, I suppose, is that I get to write about it now. In the event, then, that you encounter a similar book, let me offer you the following six signs that you are reading a book of spiritualishism. Sign #1: The Book is Story-Based rather than Scripture-Based. Far be it from me to suggest that all books of spirituality should be exposition or declarations of truth—Jesus himself taught in parables!—but we must be especially on our guard when we read stories. Why? Because stories have power to slip past our defenses—something C.S. 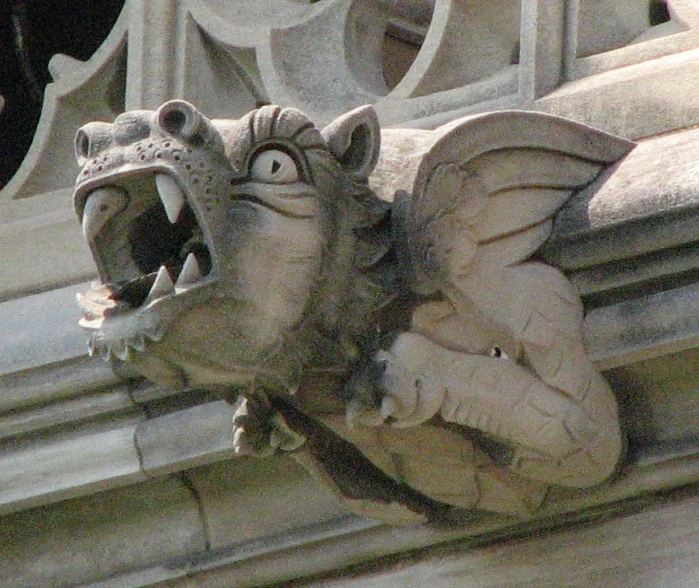 Lewis once referred to as the “watchful dragons” of the mind. But inasmuch as story, when it is grounded in orthodoxy, is highly beneficial and powerful, when it is not grounded in orthodoxy it is to that same degree wicked and harmful. Books of spiritualishism utilize the power of story because it can slip past our defenses, as it were; when we hear stories we become slightly less critical. But the danger is that of the Trojan horse—the outside looks wondrous, but the inside is full of treacherous, murderous Greeks. For our part we must be spiritually watchful and mindful of what we read. To do this, the Christian who reads in the area of Spirituality must have a solid baseline in Scripture through which to evaluate and interpret the stories he or she is reading. Otherwise, the reader will be at the mercy of the whims of capricious and unwise authors. Furthermore, the Christian who wishes to grow spiritually through reading must also have as his or her first text the Scriptures, and only augment that base reading with secondary literature. The literature of Spirituality is a bad foundation for a spiritual life. To some, I fear, this criticism will immediately fall on deaf ears. “But I like stories,” such a person exclaims, “and they are so much easier to follow than the Scriptures.” Truly, such a person is listening only for what he wants to hear, and his spirituality will be shaped accordingly—it might be spiritual, but it will not be Christian. Sign #2: There is an Intentional Bending of Theological Norms. It is a hallmark of spiritualishism literature that its authors intentionally provoke theological norms as a way to shake up the acolyte’s understanding. 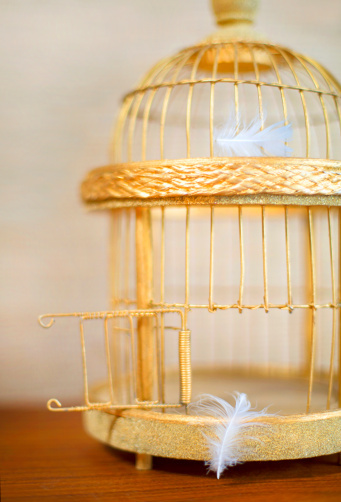 Break the cage, it reasons, and you can free the bird within. Orthodox thinking is typically seen as the cage, binding the liberation of the soul through its rigid claim to authority. Orthodoxy, in other words, is seen as the enemy of spirituality. For example, in quite a number of Hay’s parables he revisits the creation story and recasts God the Father as, well, God the Mother. She dances, sings, flits to and fro over creation, and in one such story, on the sixth day labors and gives birth to Adam. This is a provocative bending of theological norms, to say the least, and it is one which we ought to consider carefully. In fact, we ought to consider it in light of Proverbs 23:10, which says, “Do not move the ancient boundary stones.” Why should we be commanded to maintain ancient boundaries? First of all, because someone put it there for a reason; second, because to move the stone is to steal from someone else’s property. Let us be clear: it is God who placed the boundary of His own identity—placed it specifically against the mother-goddess cults of the ancient world. We are not to think that we are born of God, or Mother Earth, or any such combination, because God reveals Himself to be radically separate from creation, radically different from all the other ancient religions, and in the process reveals His people to be a different kind of creature in the world. But the truth is this: orthodoxy is like the bones on which faith is built. It is complete foolishness to intentionally break the bones of faith and then instruct the acolyte to run. By contrast, all true spirituality always strengthens the bones of faith; it never weakens them. Sign #3: Alternative Spiritualities are Placed on Equal Footing with the Gospel. One of the unofficial mottoes of my university was the phrase, “All Truth is God’s Truth.” I liked the motto then, and still like it now. It takes as axiomatic that there is only one truth, and that all truth I might encounter, if it is going to attain to the property of “truth” must necessarily be in accordance with the Truth as revealed in God. By extension, this means that if a thing is true, then its truth is in accordance with the God of Truth. However, I can also see how the statement might be twisted for unjust ends. It’s all a matter of perspective. On the one hand, I can position myself in the centre of Christian spirituality and with an attitude of grace, humility, and eagerness for more of God, search the world for the glimpses of His glory spread throughout creation. Or, alternatively, I can attempt to place myself in a kind of neutral position, and then claim that all truths are equal and of equal value. From Position 1, I can stand in Christianity and read the Bhagavad Gita, a book of Hopi spirituality, the Koran, and the Tao Te Ching—each one is a source Hays references—and I can read each with varying degrees of reward and benefit. After all, if there is truth within those books (and I believe there is), then the truth must accord with the One Truth in God. However, because the Christian conviction of the Truth is central to my thinking and beliefs, those truths will be seen and measured in light of the truth as revealed in Christ. He is the Fact against which all other facts are measured. By contrast, in Position 2 I attempt to stand outside all truth and equate each one as an equal partner in the approach to Truth. This, to my understanding, is what Hays has done in his book, flattening the claims of Christianity and exalting the claims of other spiritualities through images, quotes, and other methods. The problem is that in order to do this a person must abdicate her belief in truth as one. Quite simply, if Jesus tells the truth when he says that “I am the way, the truth, and the life”—that he is truth, in the flesh, and doesn’t just claim to know about it—then alternative claims to spirituality are immediately given a second-tier status. Either Christ is the Truth, or he has lied, in which case he cannot be the truth. Christianity holds, because of its founder, an all-or-nothing position on Truth. To exalt alternative spiritualities is to compromise on Christ’s claims about Himself. Sign #4: There is Intentional Altering or Avoidance of Inconveniences in the Scriptures. The literature of Spirituality has become, unfortunately, a haven for Christians uncomfortable with, well, Christianity. And Christianity—let no one deceive you!—is a profoundly uncomfortable religion. One of the things that the authors of books of spiritualishism can do is either avoid or alter those uncomfortable elements in actual Christianity. For example, Hays retells Jesus’ parable of Lazarus and the Rich Man, and to be fair, it is one of the best stories in the book. The rich man gets a name, Nineveh, and he is given the special opportunity to come back from the dead and speak to his brothers. The catch is that he is only given four words to say. So Nineveh studies the scriptures from within Hell (forgetting his torment for the time while he does this) and settles on some words from Amos, “Woe to the complacent.” Then he goes to brother after brother, uttering his warning, and none of them listen to him. Back in Hell, Nineveh grieves that they did not listen. All this is an interesting idea, but what we get next is troubling, because from Heaven Nineveh hears the sound of construction, and Lazarus is building a bridge from Heaven to Hell. He then comes to Nineveh and offers a hand; because Nineveh had thought of others instead of himself, he would be allowed to come to Heaven. Thus endeth the parable. Now, as a first matter of course, let us consider the wisdom of significantly altering one of the teaching parables of Jesus. Remember, this is Jesus—Lord of Life, Master Teacher, Final Authority and Judge of All the Earth. 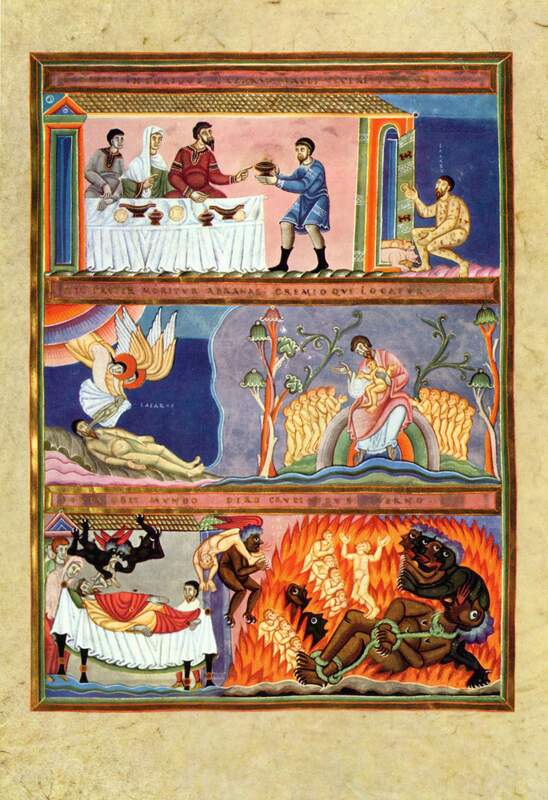 When he told the parable of Lazarus and the Rich Man, one of the clear (and essential) points was the business of how Lazarus had received bad in life, and the Rich Man had received good, and that the Rich Man’s willful ignoring of Lazarus was one of the conditions for his eternal judgment. The warning (to the complacent, we might add) was that eternity was forever, and that this life determines the outcome of our eternities. Why remove the sting of the parable? Let’s face it—Hell is uncomfortable, a clear and consequential extension of the singular truth of Jesus Christ. Let me spell this out plainly: if Jesus is the truth, and Jesus teaches about Hell, then Hell must be real. But the reality of Hell stands inconveniently in the way of the equalized spirituality which spiritualishism demands, and so the literature edits, omits, and alters these (and other) doctrines to taste. Sign #5: The Process of Christian Sanctification is Cast in the Terms of Enlightenment. 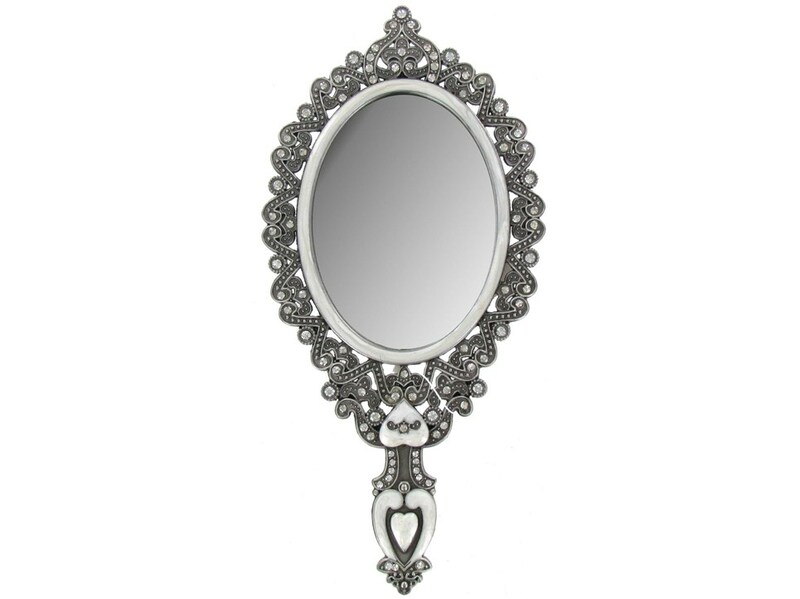 The climax of St. George and the Dragon and the Quest for the Holy Grail comes when George, our protagonist, finally divests himself of everything, gazes into the mirror that reflects his true self, and discovers that he has become the Holy Grail! 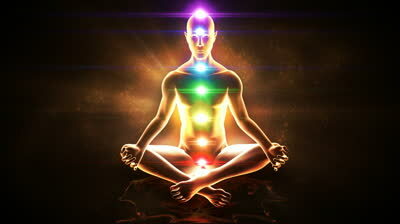 Emptying himself of self created the conditions for him to reach enlightenment! And all he had to do was spend Saturdays in his garage! The problem is that this vision of enlightenment, or escape, or special knowledge (ahem, gnosis), has little to do with Christian sanctification. There is nothing of Christ being formed in the believer, growing into the image of God as revealed in Christ, of the fruit of the Spirit, or any such factors. Instead there is the appeal of special knowledge that has the power to liberate the individual from the constraints of the self. The reason an individual is encouraged to read, or learn from, or study alternative spiritualities, is for clues into this process of enlightenment. The problem, once again, is that it simply isn’t Christian. Sign #6: You Do Not Finish the Book with a Conviction of the Uniqueness of God in Christ Jesus. Books of spiritualishism may make you feel good. They may appeal to your heart. They may tug the strings of your spiritual self. They may expose you to new and exotic ways of thinking about the spiritual life. But they do not as a rule expose you to a clearer, more glorious, more convicting vision of the Lord Jesus Christ. What you get instead is a mishmash of the author’s impressions, likes, and dislikes. But you get very little Jesus. That, in fact, is Christian spirituality: encounter with the Risen Christ that transforms the individual. And when the Christian reads for spiritual growth, he or she is reading for just such an encounter. Reading to see more of Christ, to experience more of Christ, to know more of Christ, and above all to be formed in the inner man more and more into the likeness of Christ. The irony of true Christian Spirituality is that it can be formed apart from books of explicit spirituality. If All Truth is God’s Truth, then I might discover and be transformed by that truth in any or all of my reading—be it a book of mathematics or one of political philosophy, one of biography or of science fiction. The key question is this: am I reading for spirituality, or for more of Christ? Only one type of reading has the potential to make me truly spiritual. The above quote, taken from Richard Rohr’s book on male spirituality, encapsulates its essence in a way that I find myself almost incapable of doing: it is a strange combination of Christianity, vague spirituality, numerical mysticism, and general symbolism that defies neat categorization. After reading it I am very nearly, wonder of wonders, at a loss for words, and it is an odd combination of factors that has brought me to this position. The first of these is that several men whose recommendations I trust commended Rohr to me as an author worth reading for spiritual growth. And the second is the actual experience of reading the book, which frequently returned such nonsensical and bizarre statements as the quote above. For the life of me, I struggle to envision what those who recommended Rohr to me had in mind when they did so, and that puzzle niggles me even more than the specific absurdities of Rohr’s logic. Of course, I welcome puzzles, and despite my mystification (or perhaps, more accurately, as a consequence of it), I want to attempt three things. 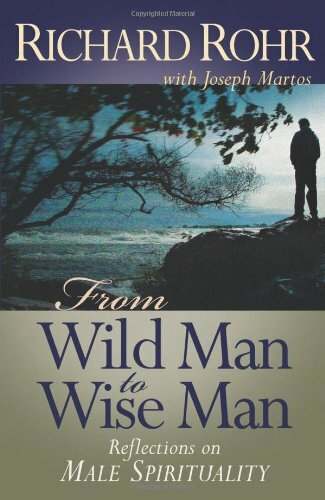 First, to attempt to explain what From Wild Man to Wise Man seems to be about (I have to say ‘seems’ because it defies categorization); second, to attempt to outline why the book might seem to succeed (again ‘seems’ because people I like must have enjoyed it for some reason); and finally, to outline why the book fails so catastrophically. Perhaps with these three tasks completed I can better comprehend both the reason why Rohr comes so highly recommended, as well as the nature of his absurd musings. So, what does the book seem to be about? Formally, it’s about male spirituality. More specifically, it’s an attempt to fill the perceived gaps in male spirituality present in the modern man. It seeks to answer key questions: How do we resolve the problem of male inadequacy, the struggle to fit in, belong, and find significance? How do we restore to male spirituality a sense of meaning and significance? In answer to these questions, Rohr can say something like this: “The spiritual man in mythology, in literature and in the great world religions has an excess of life, he knows he has it, makes no apology for it, and finally recognizes that he does not even need to protect or guard it. It is not for him. It is for others. His life is not his own. His life is not about him. It is about God” (Wild to Wise, 13). 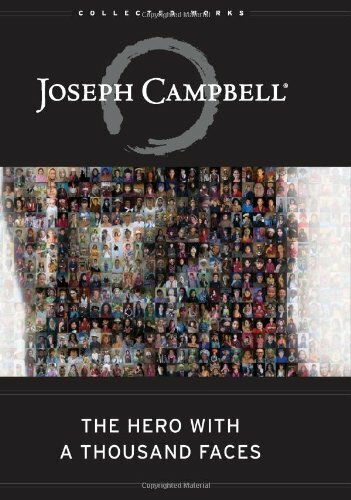 This is an appealing answer, and it hints to the practical outworking which Rohr is attempting (although he does not state this explicitly), namely, to form a Christian male spirituality through the lens of Joseph Campbell’s Hero with a Thousand Faces. Thus, he draws his central paradigm from Campbell’s heroic/mythic model of manhood, supplies further illustrations from the broader cultural history of male spirituality, and then applies those lessons accordingly. This is an ambitious and compelling premise. Why, then, does the book seem to succeed? I think I can identify two reasons for this. First, it succeeds because it speaks about an unspoken issue, and specifically male spirituality is a great and unspoken issue. Men, after all, often struggle to talk about their inner lives at all, and it feels at times as if the spiritual landscape of the uniquely masculine soul is uncharted territory. As a consequence, identity disorder is rampant, and men keenly struggle to know how to be both godly and male at the same time. When there is such starvation for masculine spirituality, any book which addresses such an issue—no matter how ineptly—will be felt to fill that need. Second, it succeeds because in this process it touches on key topics in masculine development, such as mentorship (a massively felt-need among men), initiation rites (where males transition from boyhood to manhood—also deeply felt as a need), and the Father Wound (where men acknowledge the gap created by their own fathers). The very fact of bringing these topics to light—even by naming them—goes a long way to explain why Rohr’s book would be recommended to me by the men that I trust. The topics themselves carry a weight of value which, I would suggest, exceed the actual value of Rohr’s content. I suspect that if all you knew about Rohr’s book was the two preceding paragraphs you would eagerly pick up a copy. The premise of examining masculinity and maturity and applying it to spirituality is fruitful and appealing. But the truth of the matter is that even in summarizing it I have made the book clearer than its contents. To say that it is a confused book would be a vast understatement. So let’s take a moment now to outline why it is such a catastrophic failure. The first thing to say is that Rohr’s premise overrides his data. This is a common enough problem. An author gets excited about his or her idea and, instead of following the data where it leads, edits the data (even subconsciously) to fit the premise. The problem as it affects Rohr’s book is that he is purporting to write a book of Christian spirituality (Rohr is a Franciscan Friar), but what has been edited to match his premise is Christianity itself. This seems to be the primary source material. Consider again the overarching premise of the book—that we can study the cultural traditions of male spirituality and initiation and appropriate these traditions for the modern man. Such a premise might result in two lines of inquiry. First, we would query culture to discover what male spirituality looks like. But second, we would ask which, if any, of these cultural/historical/mythical elements apply to a specifically Christian worldview. The problem is that, to my understanding, Rohr never completes the second process. He investigates the first line of inquiry, then assumes that those cultural elements are authoritative. As a consequence, he can write a sentence like the following, “[The Apostle Paul’s] genius and inspiration is that he recognizes Jesus as the new hero who leads us through the needed initiation process correctly” (Wild to Wise, 54). Paul, in other words, is successful not because he preaches the risen Christ, or plants churches, or establishes doctrine, but because he adapts Jesus to Joseph Campbell’s hero myth. Jesus’ function in history, then, has more to do with initiation rites and the myth of the hero than it does with, well, the story of Jesus as told in the Gospels. Functionally, this means that for Rohr the dominant story is the monomyth, while Scripture, Jesus, and history play a supporting, secondary role (if even that). Setting aside the implicit strangeness of the paragraph, I want to observe how Rohr appeals to a similitude between the baptismal rite with which he is familiar and the roles he has identified; but note that he has done this not by identifying them as alike but as if they are. What is only similar (and dubiously similar at that) is presented as if it is fact. It is like stating that because the Christian perspective on sin is remarkably similar to that of Buddhism, Christianity and Buddhism are functionally the same. Or, better yet, it is like observing the Christian rite of Eucharist and concluding that because we are consuming the body and blood of our Lord we ought to learn lessons from cannibals—not because we are like them, but because we are the same as them. This is a kind of horrible reductionism that I fear the unwary reader will take without stopping to question. It is justification by similitude; a kind of proof-texting by impression. The effect of these pronouncements is important to note. Rohr’s individual meditations don’t really argue anything—they ruminate and speculate, each with these impressions of authority pronounced over them. The unwary reader is then likely to feel that he is reading “really deep stuff,” when in fact he is only reading rather shallow stuff dressed up nicely. It is a pauper wearing the prince’s clothing. But the truth of the matter is that the whole book is a catena of exaggeration and misrepresentation, covered by a varnish of smug spirituality—after all, if you disagree, then clearly you haven’t had an “authentic inner experience.” The rhetoric is above criticism. This is meaningless spiritual-ish mytho-babble, and if words are going to have meaning and significance, and if men are going to obtain a rich and fulfilling spirituality, then books like Rohr’s must be given their rightful place in the waste bin of history.